When kids are deciding what they want to be when they grow up, they have numerous options set in front of them. They can try to emulate their parents or loved ones and want to follow in their footsteps. However, a lot of kids see jobs in various forms of entertainment that catches their fancy. Whether they are watching a television show and decides they want to be a police officer or watches a movie and decides they want to be a soldier. For me, I wanted to be a photographer when I was a kid. The reason was simple. I read comic books, as many as I could get my hands on. My favorite comic book character was Spider-Man and I wanted to be a photographer, just like his alter-ego Peter Parker. Most kids don’t want to be a photographer because of classic masters like Ansel Adams, they want to be one because of people like Jimmy Olson. Here is a look at some of the more famous fictional photographers to appear in entertainment. The move popular business in most comic fans lives is that of newspaper publishing. Whether it is the Daily Planet of the DC world or the Daily Bugle of the Marvel world, the giant publishing companies stand tall in the world of both major comic book labels. Superman’s alter ego worked as a reporter while Spider-Man’s biggest thorn in his side ran the major New York newspaper. Both of these series also presented two very popular fictional photographers that fans grew to love and admire. In the pages of “Spider-Man," the superhero’s alter ego Peter Parker worked as a photographer for the Daily Bugle. The reason for his job there was simple. Parker needed to help his beloved Aunt May pay the bills once a burglar shot and killed his Uncle Ben. He realized that his work as Spider-Man was garnering media attention and set up a hidden automatic camera to snap pictures whenever he swung into action and then sold them to the Daily Bugle, a newspaper that worked to condemn the superhero as a criminal. Now, in the real world of journalism, this sets up a difficult conundrum. When a journalist reports on a story that he has a connection with, the journalist is required to release his personal connection to the story as a way to set himself apart from the news. Since Parker was selling photos of himself as Spider-Man to the newspaper, but never told them he was Spider-Man, Parker was effectively breaking a major code of journalism ethics. The fact his editor, J. Jonah Jameson used the photos to condemn Spider-Man for his actions might make the controversy a little less damning for Parker. On the other side of the spectrum, DC Comics introduced the Daily Planet to their readers in the pages of “Superman." Clark Kent and Lois Lane served as reporters for the paper and soon a third employee became just as popular and beloved in photographer Jimmy Olson. While Olson went on to be a full-fledged reporter after awhile, he remains mostly known as the photographer for the stories that Lois and Clark write. Unlike Peter Parker, Olson is portrayed as a very ethical and hard working journalistic photographer. While he has often been referred to as Superman’s Pal, he retains a distance from the action and since he does not know that Clark is Superman, he does not cross the ethical lines that Peter Parker steps across daily. It is interesting that while Marvel shows their newspaper to be morally corrupt, DC paints theirs as a virtuous profession. Comic books are not as popular as they once were and most kids today form their heroes from movies instead of books. Both Peter Parker and Jimmy Olson found themselves admiringly depicted on the silver screen over time but, other than that, the job of a photographer has not been delved into as greatly in films. One case where a fictional photographer is not only used in a movie but the entire process of photography is used as a plot device is Alfred Hitchcock’s “Rear Window." 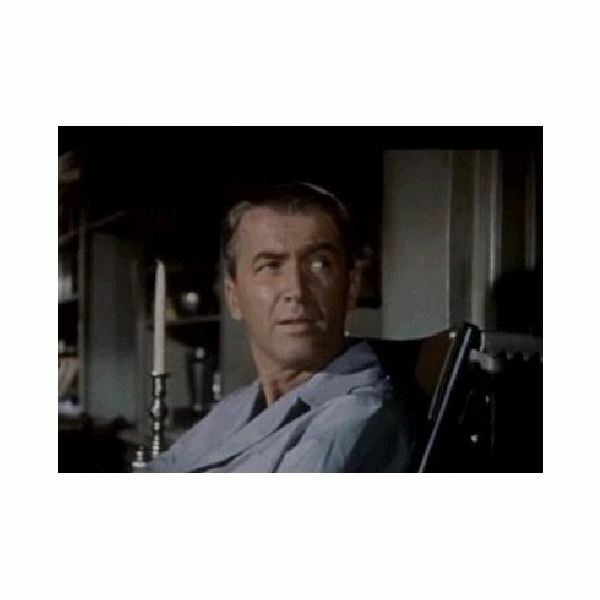 James Stewart stars as L.B. “Jeff" Jefferies, an action photographer for a magazine who ends up confined to his second level apartment when he broke his leg taking photographs. The accident happened while he was shooting a car race from the middle of the track to get a more dramatic shot. It is that intense focus that makes Jefferies take some very dangerous choices when he believes he sees a murder take place while spying on all his neighbors through the window of his apartment. He uses his camera and its telephoto lens to spy on all his various neighbors and then begins to work on trying to see if one of them might have killed their wife. 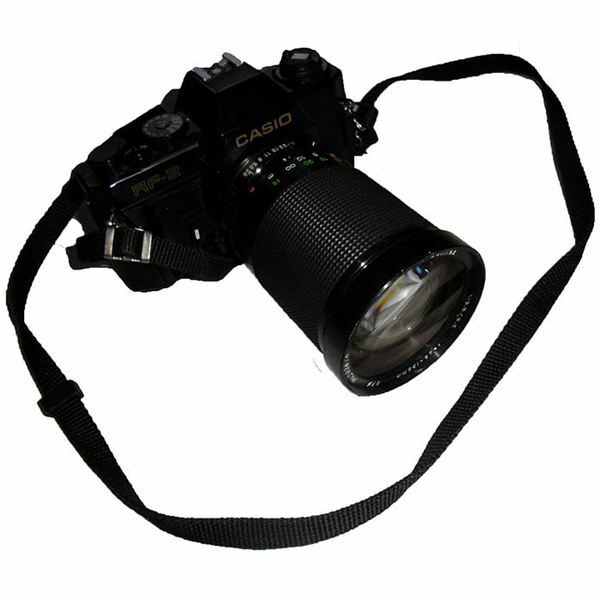 The use of the camera to intrude into people’s lives resides on a dangerous ethical slope and it is almost a telling tale of the recent paparazzi actions where they attempt to prove whatever facts they dig up by taking intrusive photos at other people’s expenses. In an even darker depiction of a fictional photographer, Bradley Cooper portrayed an art photographer in the Clive Barker horror movie “Midnight Meat Train." In the movie, Cooper’s character works as a photographer hoping to get his photographs shown in art galleries only to be told by a curator that he needs to go darker with his photographs. He chooses to do so by heading out into New York City at night and finding very dark subject matter to photograph. He almost dies when he comes across a mugging and stops for photos before stopping the crime. However, it is after the woman he saves ends up dead anyway and he begins to investigate who might have killed her that he ends up embroiled in a horrific nightmare. On the lighter side, in “Austin Powers: The Spy Who Shagged Me," Austin Powers gets an assignment to work a photo-shoot with seductive models, including the evil Ivana Humpalot. It is a case where the protagonist works as an art photographer undercover in a light and fun depiction of the industry. Whether the photographers are press photographers or art photographers, the profession is depicted well in entertainment. From superheroes to secret agents there is something here for the photographer in all of us. If you could create any photographer in a movie or book, what would he do and what qualities would you embed in him? Let us know in the comment section below.